The heat is currently rising in Baltimore’s real estate market, and according to Baltimore Magazine, prices are rising so steadily in the most popular neighborhoods that the “pendulum may already be swinging back to a sellers’ market.” Baltimore has been in the hottest housing markets’ top ten list over the years and based on CoreLogic’s findings, it’s one of the cities that will experience the biggest increase in home prices. The median home value in Baltimore is $109,800 and Zillow predicts they will rise 2.0% within the next year. With the city’s diverse economy, it comes as no surprise that Baltimore is known as the Charm City. The city’s temperate climate may make radiant heating seem like an unnecessary upgrade, but according to CurrentResults, the city typically has a couple of weeks a year when the temperature never rises above freezing. 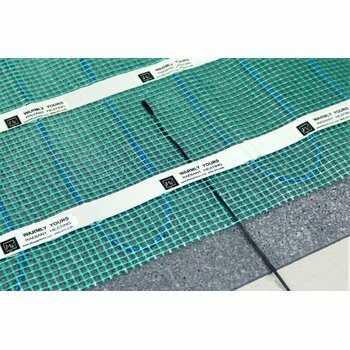 “Frosty days can occur anytime from November to March, but are most common in January,” making radiant heating an ideal solution for the cold nights when the sky seems clear and the temperatures fall. In this new homeowner’s case, adding radiant electric heat to a large basement bedroom was a very affordable way to bring the welcoming warmth and comfort of floor heating to their routine. To incorporate floor warming, this Baltimore homeowner installed a 1.5- by 45-foot Environ™ Flex Roll in their 108-square-foot basement bedroom for $608.00 at a cost of just $9.01 per square foot (see floor plan). The cost to operate the system should also be taken into consideration. WarmlyYours’ Energy Use Calculator shows it only costs 37 cents per day to heat this basement bedroom for four hours a day and according to our Heat Loss Calculations, it costs just $22.38 to heat the basement bedroom during January, the coldest month of the year. 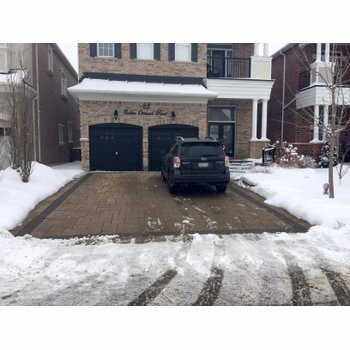 Best of all, the annual operating cost for the heated floor is $112.23 — a small price to pay for the comfort and luxury of a radiantly warm basement bedroom with soothing warm floors. An added benefit is that the radiant heating system can be the primary heat source for the room so there’s no need for additional heating. Don't Just Sit There! Get A Free Instant Quote For Your Basement Bedroom! 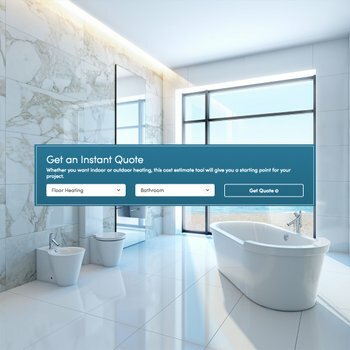 If you’re wondering how much your basement bedroom or any room where you desire floor heating will cost, you can use our Instant Quote tool to find that out. By simply entering your project information, you will receive the recommended products along with their cost. In addition, our SmartPlan™ installation plan will specify all the relevant information you will need to get your project underway. To obtain a custom installation plan for your room, you can submit a floor plan online, send it to your account manager via email (sales@warmlyyours.com) or fax at (800) 408-1100. Believe you can and you’re halfway there. If you are a DIYer and prefer installing the system yourself, we’ve got you covered too by offering 24/7 installation support to guide you through each step of the process. Our technical experts are available day and night for your convenience at (800) 875-5285. WarmlyYours is there for you whenever you need us.